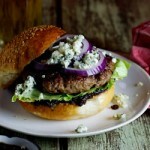 If you vowed to start your diet on this Monday, avert your eyes immediately. 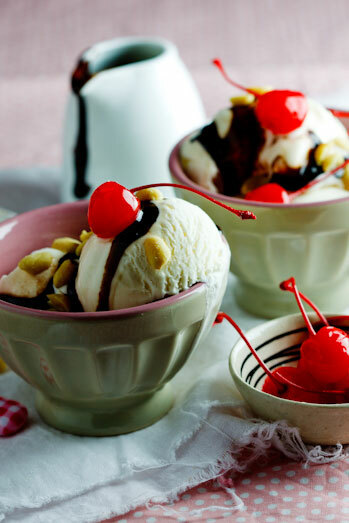 Because these ice cream Sundaes are so insanely good, you will almost definitely fall off the rails. I have to confess though, that I’m not the biggest fan of ice cream usually. I just feel like if I am going to be eating something sweet and calorie filled, there are so many other options I would rather go for. 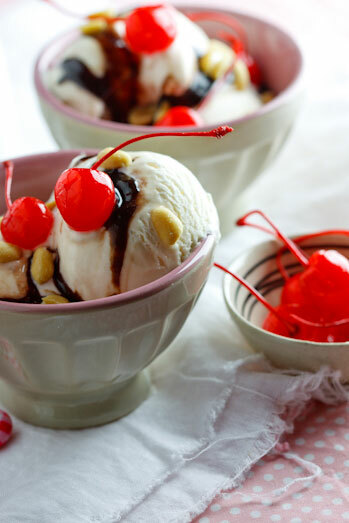 But with these sundaes I can eat buckets of ice cream. Most probably because the ice cream is topped with the gooeyest of gooey sauces. 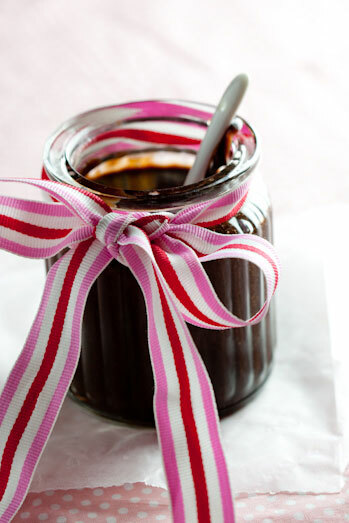 Sweet with a little bit of saltiness, sticky and chocolatey, this Salty Peanutbutter – Chocolate Fudge sauce is really sin-in-a-bottle. And what makes it even better, is that this is the easiest sauce you could possibly make to top ice cream with. 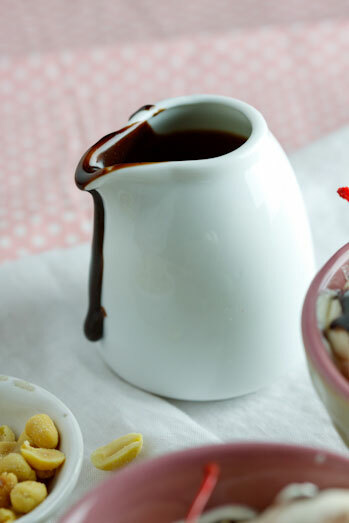 Four ingredients is all that is needed and no melting of chocolate, etc. is necessary. 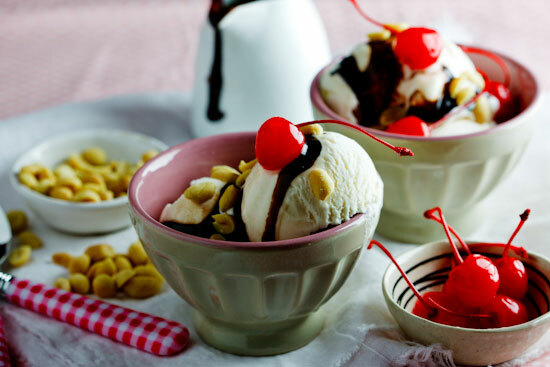 I like to serve the sundaes with a sprinkle of salty roasted peanuts, maraschino cherries and even add some sliced banana at times. 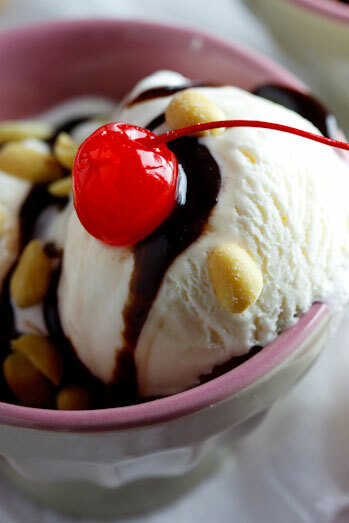 But if you don’t have any of those, ice cream with a drizzle of this sauce will be just perfect as well…actually, you can even leave out the ic e cream some days and just go for the sauce! 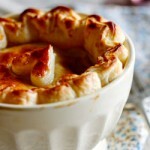 To make the sauce, combine all the ingredients in a small saucepan over low heat and allow the peanut butter to melt. Stir constantly to ensure the sauce doesn’t catch and burn. Heat and stir for 2 minutes before serving. I bottle the excess sauce and keep it in my fridge but be sure to heat it before serving as it becomes very thick and sticky when left in the fridge.